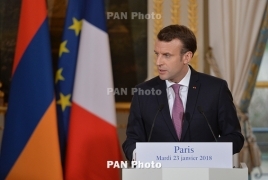 French President Emmanuel Macron on Wednesday, April 10 signed the order on making April 24 a "national day of commemoration of the Armenian Genocide". Meeting the Armenian community in early February, Macron announced such an intention as a way to honor a campaign promise he made from his election in 2017. A special ceremony will thus be arranged in Paris every year on April 24.